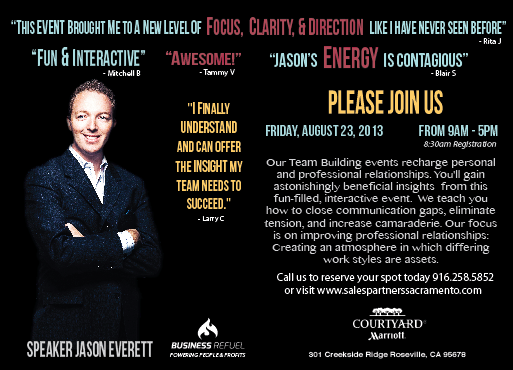 Events - Welcome to SalesPartners N. CA/NV Business Coaching, Sales Training, Public Speaking, Personal Development, and Team Building. SalesPartners Live events are unlike anything you have ever seen before. We look forward to meeting you at one of our next live programs!